Green asparagus combined with bacon and cheese were just what I needed yesterday. I did not know what I wanted – I knew only knew wanted to eat. Neither sweet nor salty snacks did the trick. Finally, in desperation, I opened the refrigerator for the tenth time, I browsed it through and then my eyes turned towards asparagus, mozzarella and bacon. There was no way out, I had to do something from them. I did not want to over-complicate things and I ended up making simple twists. Asparagus prepared this way works best as an appetizer or as a snack to munch during the day. Ingredients you need for making asparagus twists. 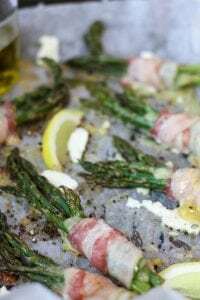 How to prepare asparagus baked with bacon. Wash the asparagus. Bend each until they break. You will only need to use the upper part – the bottom half can be discarded. Cut the mozzarella into pieces. Mix lemon juice, pepper and olive in a glass. 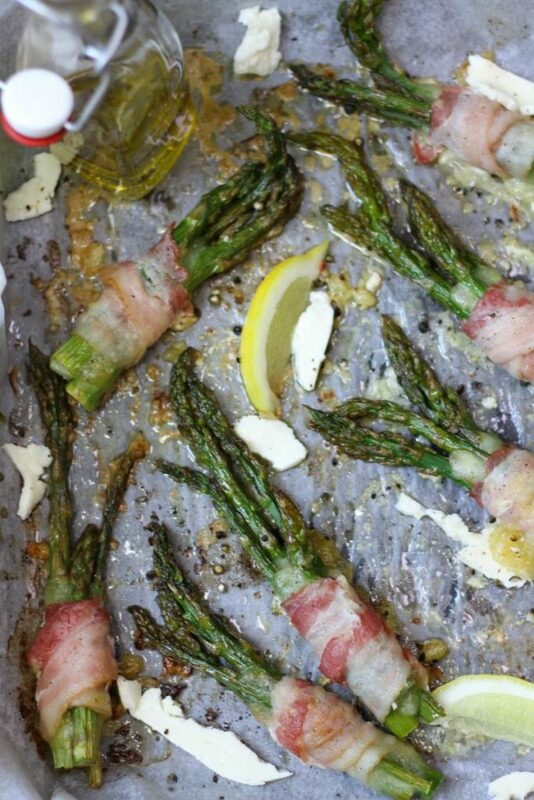 Arrange three to four asparagus in a pile, cover each pile with mozzarella cheese then wrap them up with the bacon. Put them to a baking tray lined with baking paper. Drizzle with the sauce. Bake in an oven preheated to 200 degrees Celsius for 30 minutes. What you need to know when making asparagus and bacon twists. The bacon slices to be used for the wrapping should be thin and long. Gently squeeze the excess water out from the mozzarella after cutting. Do you like asparagus? If yes, then try our recipe for White asparagus soup.